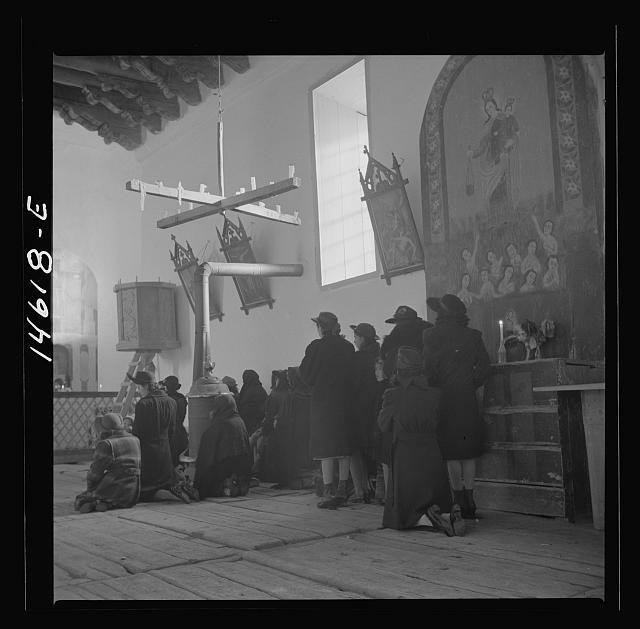 This 1943 picture of the main altar of the church in Trampas, N. M., is among photos taken by John Collier in the Farm Security Administration - Office of War Information Collection at the Library of Congress' American Memory site. 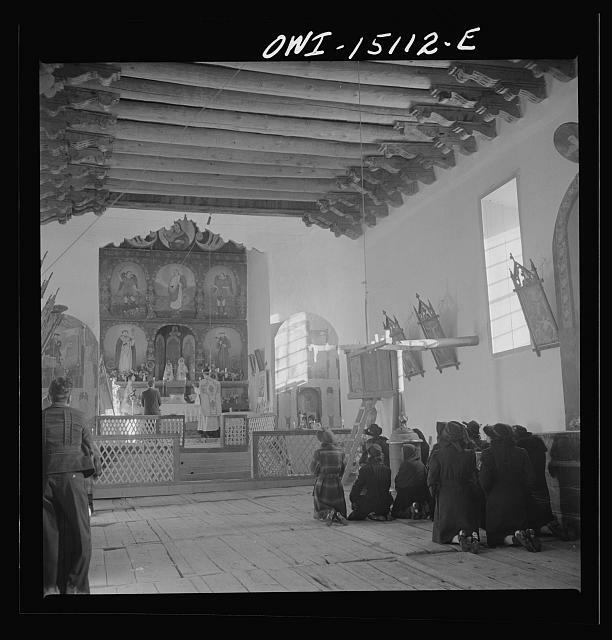 Searches here on the queries Trampas church and Trampas altar return many striking images of the 1700 church described as the best-preserved colonial mission in the Southwest. 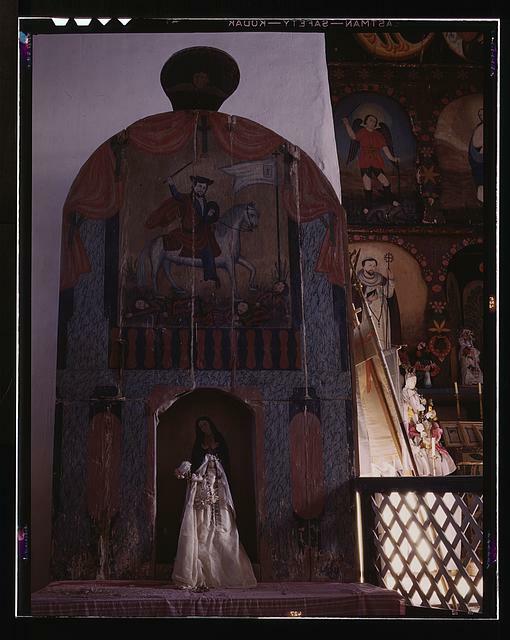 Here is a beautiful and un-PC side altar dedicated to the Madonna and to Santiago Matamoro. On another altar a candle is held by a Coca-Cola bottle. 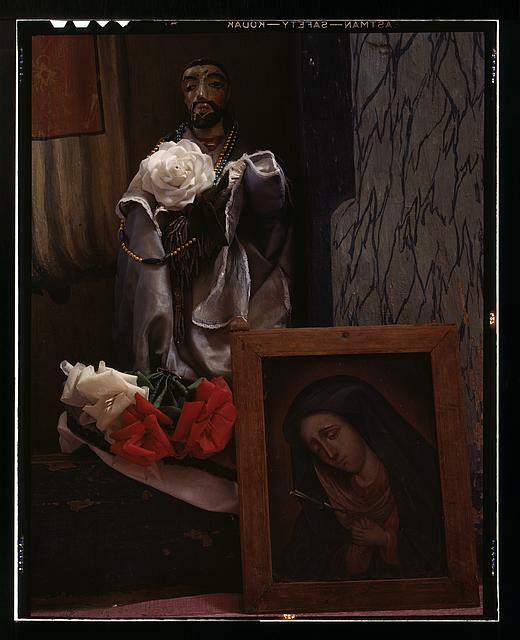 An altar detail: Santo bulto and Dolorosa. John Cahill on Sept. 27 pays tribute to the late Michael Davies, who championed the Tridentine Mass as president of the International Federation of Una Voce. The Latin Mass Society has a number of writings by Michael Davies in its archive. 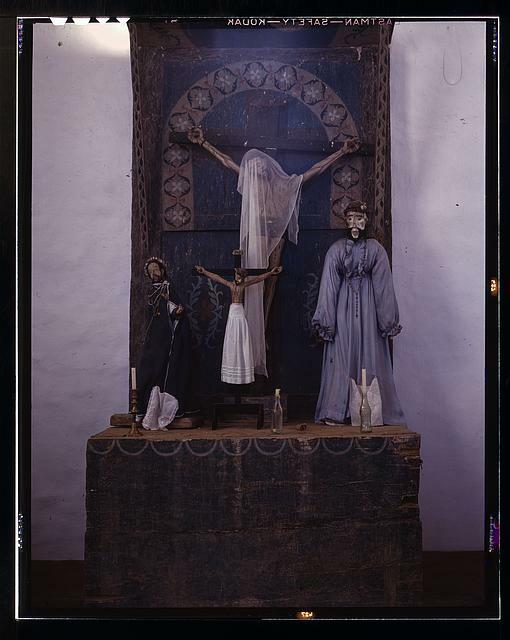 St. Richard Gwyn, a Welsh teacher who was executed for recusancy (a refusal to attend Protestant services), looked upon the desecrated sanctuaries of Wales and remarked with sadness: "Yn lle allor, trestyl trist" "In place of an altar there is a miserable table." God grant that the miserable tables that have replaced the altars of sacrifice throughout the Catholic world will one day be removed and replaced by altars of sacrifice.